VOTD : Villain of the Day!!! Because Halloween is just around the corner!! I thought of doing Villain portrayals last night.. I hope I can post every day until Halloween. Wish me luck..and free time for that! We will be having Cruella de Vil for tonight. She is a fictional character from "101 Dalmatians" and plays as the villain who keeps stealing the puppies for their fur. I hope I give justice to the cartoon. Hehe please don't hate! :)) I originally intended to glue my eyebrows to make it easier to conceal. But I do not have a washable one at the moment. Since i am itching to do this make up look, i decided to continue without it. That explains the messy eyebrows. You will notice alot of improvised things here. 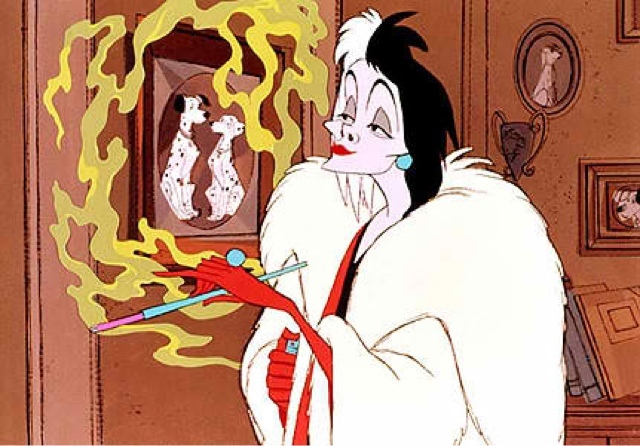 I used my suesh brush as a cigarette, and wrapped my sweater because that's the closest I got in my closet that would give that Cruela look. What I did for this one was just conceal and set my face with baby powder. I made sure to hide my eyebrows and made a higher arc - reaching my forehead. 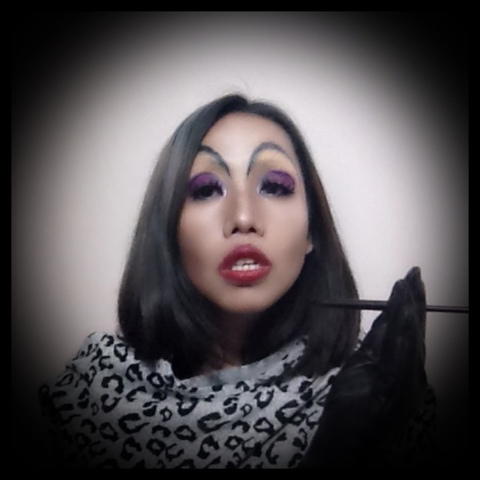 I did alot of contouring since Cruela has a prominent jaw line and pointy nose. For the lips, I simply lined it and swiped on deep red matte liptick. 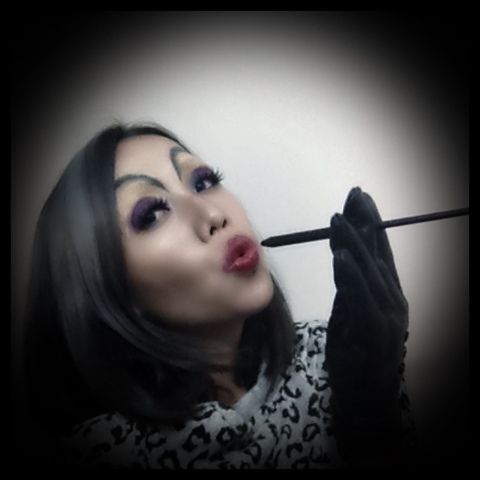 Saw you at Beauty Bloggers :) New follower here. What a coincidence! I just followed you a few days back when I saw your scary doll post! You also did a very good job with that :)) thanks eyah! 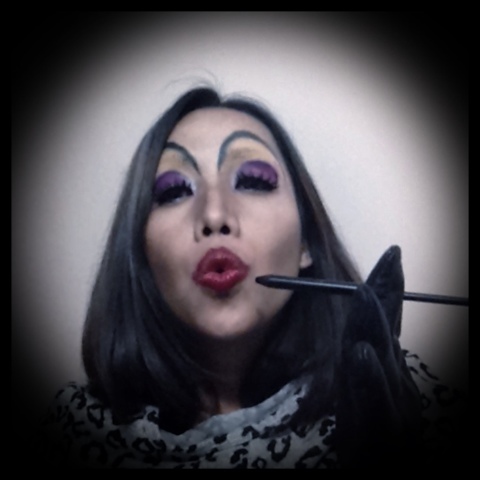 I love your Cruella de Vil! Super unique halloween costume to, unlike the other gasgas na like Wonder Woman. Aaaw shari! That is really sweet! Nakakaflatter especially galing sayo :)) thank you!! You've done some seriously gorgeous work here! Btw, would you like to follow each other? i am following you here! hope you give a follow too. Haul: MAC, The Balm, e.l.f., NYX, etc.